I am not a review site. I like having giveaways, I just don't get a huge opportunity to do them. When I was approached by Ecostore to do something...I jumped on it! Basically their deal is this "No Nasty Chemicals™ is the foundation of the entire product line and philosophy of ecostore." I like that. Lately, I have been more concerned about what chemicals are in all of the products I use (don't get me started). Seems like a good sampling to me:) I'll make this really easy. How do you win? Just leave me a comment (I'll even let you comment once a day) The contest will run from now, until midnight (cst) on Jan. 31. Then I'll pick a winner with Random Number Generator...Easy Peasy! Oh, and don't forget to check out my blog design giveaway here...and all the other fabu. stuff folks are giving away at Bloggy Giveaways! thanks! would love to win! That's very cool! We could totally use 'em! That sounds great! I haven't tried any of these, but I am willing to give anything a try once. What a great opportunity! I love to try out different cleaners. Too bad I don't actually like to clean. Great giveaway! I've been using Shaklee but they are getting too expensive -- this brand is much more in my price range! Already a subscriber. I have been wanting to try out this line too!!! I'm a new product junkie -- I'd love to try these! can't have enough cleaning supplies.. I worry about the chemicals in my cleaners...I'd love to see how this brand works! I am trying to eliminate chemicals in our home! I'd love to try these! Thanks! I love to clean.....ok not really love it. I just like having a clean house. I would love to try these products!! Thanks. I'm totally into the eco products. Enter me in the contest please. I would love to try these products since I have kids with allergies. i would so love to win this- i am a cleaning fanatic! my boyfriend cuts food and eats off the counter sometimes. this giveaway would be super helpful in my household. great idea. Sounds great, most cleaning products are so strong and give me a headache...these sound like they might be a good solution! Come enter my Target GC giveaway! Sweet! I love eco friendly goodies. Many thanks!! Would love to win this! I'm tired of all the chemicals too! Thanks for doing an eco-friendly giveaway!! What a great giveaway! I would LOVE to try these products. Ooh, I would love this! I'm always up for trying eco friendly cleaning supplies. Thanks. Would love to use that!!! sounds good. with a baby in the house, you can't be too carefull! Sounds good. Thank you for the giveaway. Awesome...especially with two babies and a dog! Thanks! This is a great giveaway! With 4 kids i'm also worried about chemicals in products that I use. I have COPD and can really do without those "nasty" chemicals. Great giveaway. I'm trying to be a lot more conscious of the chemical in my life, too. This is a fabulous giveaway! Way to go for b(eco)ming conscious of your cleaners. There's nasty stuff out there! Would love to win as well! I would love to win this! Thank you for the giveaway!! Enter me please, I'd love to win these. Natural cleaners can be expensive! I have seen these before, they are pretty cool. I d love to win! Chemcials in cleaner are so harsh on my skin! Sounds like a great opportunity to try some good products, count me in, thanks! I would love to try some of these products! Thanks! I love products that are free of harmful chemicals. These look like a great option. thanks! Thanks for such an easy entry. Great items! I would love to win. the lemongrass soap looks nice, we stopped using gels and started using homemade soaps again. they are so nice on the skin! and No Nasty chemicals! Hi, I would love to win, with little ones n the house I prefer no chemicals. I hope I win...cool stuff! Thanks! These sound great! I'm always looking for safer products. Thanks for the chance to enter! my son has an immune system deficiency and severe asthma and allergies and my daughter has autism, i am very into the whole no nasty chemicals thing! what an awesome giveaway!!!! Thank you for making this easy to enter. I could really use eco-green cleaning products. Family is developing allergies and I that chemicals I can not pronounce. I love eco-friendly cleaning supplies.. These products are great...I'd love to win! You mean I could just say "enter me" and I wouldn't get deleted? Oh goodness, you are so much nicer than me LOL. I make people work just a tad. I've never tried these, so yes, please do enter me. Oh wonderful! I really want to try these! Please count me in! Great giveaway. I am trying to get away from using the nasty chemicals. Thanks for the chance! We have a new baby due in March and I have been seriously trying to eliminate harmful cleaners and replace them with safer alternatives. I would love to be entered to win this prize. Sounds great. We don't like the nasty chemicals. I'd love to win! Thanks! I'd love to make my home more green! Thanks for the giveaway. Going green and detoxing our home this year. I'm a sucker for natural cleaning products! I love the sound of their products..lemongrass..mmmmm! I make most of my cleaners so this would be fun to try! Thanks! We're trying to be environmentally friendly - this would be great to try! This would be wonderful to try. I prefer products without chemicals. Sounds like a fun (and useful) product! Thanks for the contest. This would be great for our house. I'd love to try some new cleaning products, especially ones that smell nice! Thanks for the giveaway! I'd love to win- thanks! would love to try these in my greenhome. It makes sense - if we're careful about what we eat, we should also be careful about our cleaning products. Thanks for the nice giveaway! I'd like to try some eco-friendly cleaning products. Thanks for the chance to try some new eco products. We are trying to go green whenever possible. I love the fact that these products have no harsh chemicals and are safe to use around my children and pets. Thank you so much for offering this wonderful giveaway ! I'd love to give these a try! Always on the look-out for safe cleaning products! these look like great products! Hooray for all natural products- just in time for spring cleaning! i've always wanted to try eco-friendly cleaning products! I'd like to try these products. Thanks. Their products sound wonderful. I would love the chance to try them. Thank you so much! I'd love to try out these products. I've trying out different brands of eco-friendly products. I'd love to try this out! Anything without harsh chemicals & nasty smells would be welcome in our home! I would love to try them and did you say citrus? I love anything with that scent. I've been on the hunt for greener products. Thanks for the giveaway! We'd love to try this! Thanks. I'd love to win these! We have allergies to chemicals and this would be wonderful! I like natural cleaning products! I'd love to win theses. this sounds like a great company! thanks for the chance to win. Ooh! Great giveaway - count me in, please! Great-I'd like to try these cleaners! Thanks! Thanks for the giveaway! !Looks like a nice set of cleaners. I would love to try this thanks for the giveaway! I'm going more and more for the more natural products these days. Too many kids and pets here to take chances. Thanks for a chance to win. Wow, this is the first time I've heard of this brand! I'm learning so much through this bloggy carnival! LOL I'd love to be entered! I would love to win these. Great giveaway. always looking for good cleaning products! I'm always on the look out for new cleaning products. THank you for the great giveaway. I would love to win. I'd love to get this! Great giveaway! I would really love to win because I am trying to find a less expensive way to clean with green products. The Citrus Cleaner sounds wonderful, thank-you. I love their philosophy. We are bombarded with so many unnecessary chemicals. These sound great -- and I love their labels! I would love to try this. Sounds like a wonderfully safe product to use around children! I would like to try this stuff. i always like new cleaning stuff. This looks like a great collection of supplies! What a great, green gift! Sounds like a great product! Thanks, we're getting a new dishwasher here real soon, and I'd love to try their dishwasher detergent and rinse aid, always looking for something "greener" to use when cleaning. I love the fact they are chemical free. I am trying to use 'greener' products. These would definitely help. 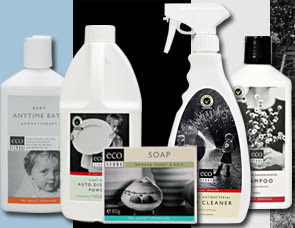 I love that these products are chemical free and I am always looking for new great cleaning products. This would be an awesome gift pack to win! Thanks for the giveaway! These products sound fabulous! I've been wanting to get some stuff that was more natural. Thanks! I love things like this. It is so much better for everyone when we don't use harsh chemicals. I'm trying to switch over to all eco friendly products, this would be a great help! This would be so great I have two boys and there is always tons to clean! Thank you! I'd give it to my mother if I won. I'd love to try this stuff! Thanks! Thanks so much for sharing, I would love to win this! I love this! I've been working my way towards having little to no bad chemicals in our home. This would be a great win! I've been wanting to try some of the new green cleaning products, these look great! I would love to win this, thanks! What a great move to go green! I love healthy and green cleaning goodies, makes me feel much more safer knowing I am using something natural rather than tons of chemicals around the kids and pets! Ooooh that lemongrass soap sounds just yummy! I am always looking for natural cleaning products. Looks like a great company. I have some cleaning products with nasty chemicals, but I'm trying to phase all of them out. I am really trying to go greener and this would help! Looks like some awesome products. Lots of good stuff there. Great giveaway! My husband would love this, he hates when I us harsh chemicals! First of all, I had to say how cool your siggy is, "Nap Warden" LOVE IT!!! Anywho, thank you so much for the opportunity, looks like a wonderful company~great for a home with 5 kids and lots of critters! Thanks! Would love to try these. This is wonderful. Thanks for sharing the link. I've bookmarked for when I have a bit more time on my hands. These would make a great gift for my roommate. She loves stuff with no chemicals and purchases Greenworks right now. I love using chemical free products in my home! Especially with little ones around! I'd love to try these... I've never heard of them before! This is a great giveaway! Thanks for the chance to win!